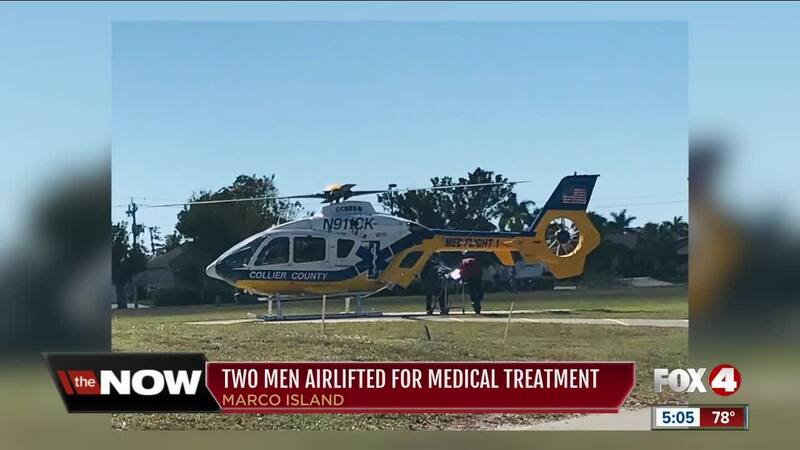 COLLIER COUNTY, Fla. -- Two men were medically evacuated in Marco Island Friday after reportedly coming into contact with a power line. According to Marco Island Police, the men were using a ladder at a residence when the ladder touched an electrical line. Marco Island Fire assisted with the response. No word yet on their conditions. We'll update if we learn more.